one thing is for sure, lucy has had one busy first month. between all that being born business, oglebay, doctor visits, and being out and about with her older brother, she's had plenty of goings on. luckily, she seems to roll with things pretty well (another thing she has in common with her older brother). 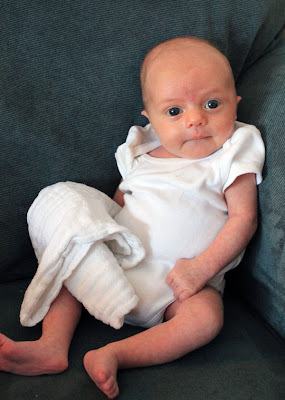 at her one month check-up yesterday she was declared "fabulous" and weighed in at a hefty 7lbs 14oz, and 20 inches tall! 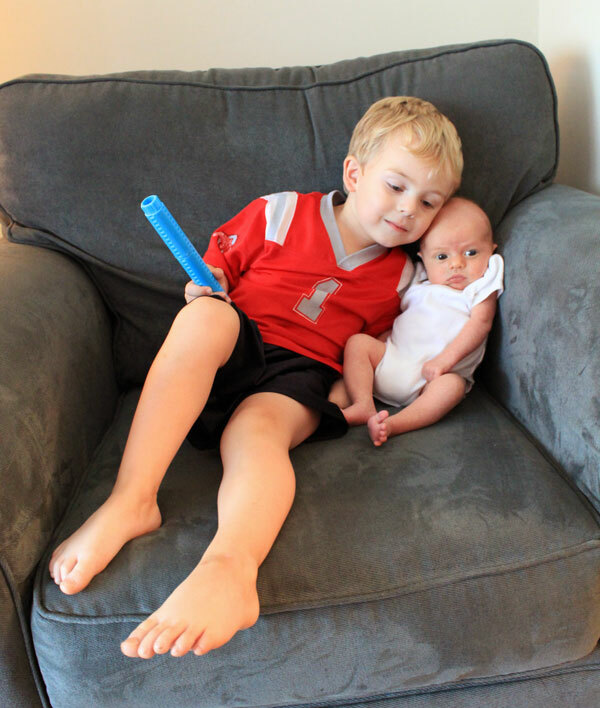 and speaking of older brother, sam is handling this big brother thing about as well as a little boy could. he's constantly asking to hold her, wanting to give her kisses and hugs (mostly when i'm trying to feed or get her to sleep, unfortunately). we have to keep reminding him to be gentle with all this love, but i think he genuinely is enjoying having her around. we'll see how it goes once she's more interactive.